The Blue Flag Ecological Program, known as Bandera Azul, is an international program adopted in Costa Rica to improve each community’s environment. Established in 1996 in Europe, it encourages citizens to recycle and conserve natural resources through a variety of ways, rewarding those who protect the environment with a distinctive blue flag. A blue flag may be awarded to individuals, but is primarily presented to entities such as beaches, schools, parks, businesses and even towns. Two well known beaches, Playa Hermosa and Playa Flamingo, fly the blue flag above their sands. 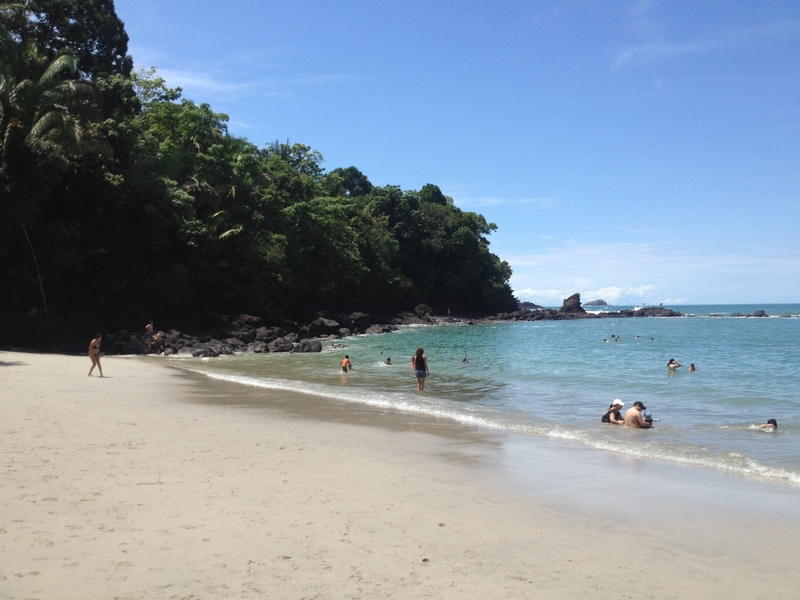 Those entities are awarded the prized blue flag as long as they reach a minimum 90 percent score on their evaluation for water quality, cleanliness, security, solid waste use, industrial sewage, and environmental education, according to Blue Flag Beaches in Costa Rica. Once given a blue flag, the entity is monitored monthly to make sure it maintains high standards of eco-friendliness for the entire year. Multiple Costa Rican government agencies are involved with oversight: Costa Rican Tourism Institute, Ministry of Environment (MINAE), National Water and Sewer Service, Ministry of Public Health (MINSA), and National Tourism Chamber. These agencies apply rigorous and varied environmental tests and help guarantee that each place applying for a blue flag meets all the requirements. Once a public place has received a blue flag, it can fly an actual bandera azul. This signifies to tourists, as well as locals, that the place is clean, safe and environmentally aware. An 11th-grader at New Generation High school in Heredia said her school is working hard to earn the right to fly a blue flag. “Our principal is trying to show us how to recycle, save water and plant trees,” said Maria Fernanda Cordoba. The high school just needs to replace its old leaky faucets in the bathroom and then it should be able to pass the blue flag test, she said. According to Cordoba, the school recently installed more recycle bins, swapped out its old water-wasting toilets and replaced drinking fountains. Solar panels were installed to heat the pool. Students also were required to plant more trees around the school, all in hopes of being able to fly that blue flag. 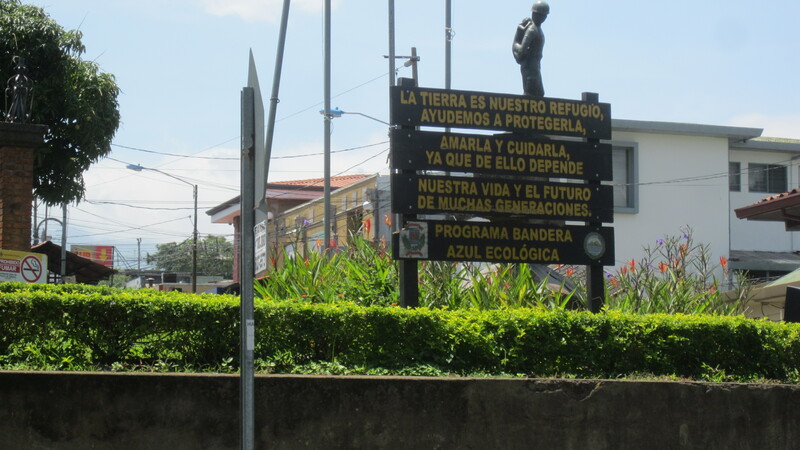 Rogers Guevicro, a historian with the City of Heredia, says it is becoming very popular for businesses and public places to attempt to get the bandera azul. High schools, the Mercedes dealership, and a few other places have the blue flag in Heredia. More are trying to get it and city officials are happy about this friendly competition, according to Guevicro. Odilie Salazar is on the committee that decides who gets the blue flag in Heredia. The committee comprises various institutions, including the chamber of commerce and municipality, as well as community leaders. Meetings are held annually in November to review applications. Sometimes the committee contacts schools, universities and companies that might benefit from the project to encourage them to participate in the program, according to Salazar. Her role is to promote elements necessary for the environmental program to succeed: security, inventory of water resources, proper signage, disposal of solid and liquid wastes. Environmental education is also a big part of her agenda. She gets the word out via flyers, television and radio.